Prepare your visit to Ghana! The Ghanaian currency is the Ghana Cedi. Unfortunately you can’t change your currency into Ghana Cedi’s before arrival in Ghana. • ATM. Before coming to Ghana, contact your bank or credit card company to enquire if and where your ATM card is accepted in Ghana. For example; you can use a foreign ATM card with a Cirrus or Maestro logo printed on it at the ‘Stanbic Bank’ in Ghana. Stanbic Bank has branches in the following cities: Accra, Tema, Takoradi, Kumasi, Tamale, Tarkwa, Sunyani & Ho. Stanbic Bank’ branches in the capital Accra can be found at various locations: For example Silverstar-tower (Airport) or opp. Ridge Hospital. You can withdraw up to 1000 Cedi. Ghana Commercial Bank (GCB) accepts ATM cards with Cirrus or Maestro logo as well. In case you wish to use ATM machines from other banks in Ghana (other than Stanbic Bank or GCB), a Visa card is required. Enquire from your bank beforehand if your visa card has an ATM option that works overseas. In Ghana, your Visa card is accepted by ATMs from Barclays bank, Eco bank, Standard Chartered bank, and other smaller banks. • Bring along your foreign currency in cash (Euros, USD, GBP). You can change money at exchange offices (‘Forex Bureaus’) and banks. Banks normally open from 8.30 to 4pm and on Saturdays from 9 to 2pm. • Traveller cheques. Some visitors advised us not to encourage the use of traveller cheques. This is due to the limited possibilities to cash them and often only small amounts. • Credit card. You can use your credit card at some hotels and restaurants (Visa or Mastercard). However, to prevent unauthorized use of your card, for example for internet purchases, be cautious when using your card and keep an eye on it at all times. All foreign visitors to Ghana are required to hold a valid passport with a Ghanaian visa (except visitors from West African ECOWAS countries). 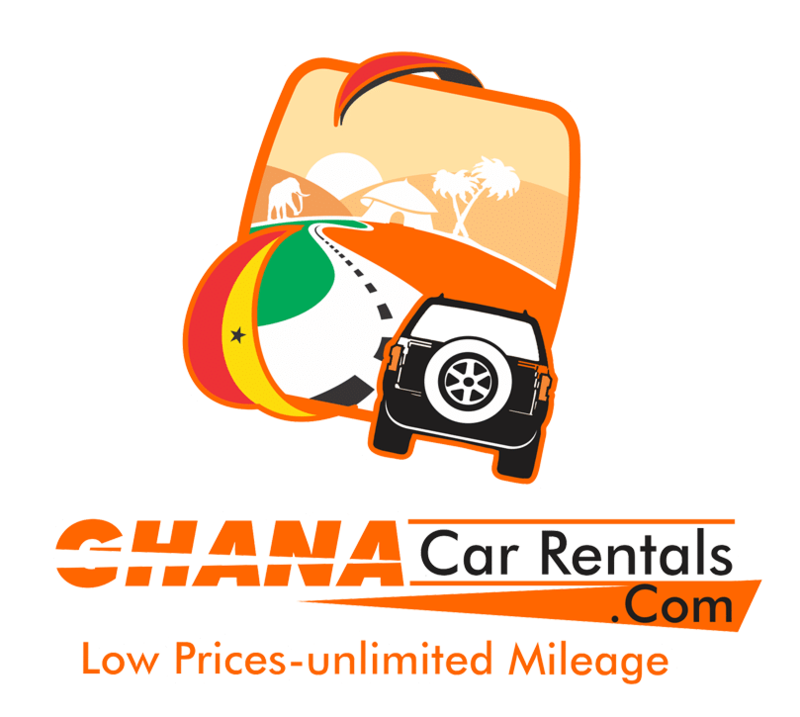 A tourist visa is stamped for 60 days upon arrival in Ghana (thus valid for 2 months). Applications for a Ghanaian visa should be made to the nearest Ghana Consulate or Embassy. Ghana is a safe country. 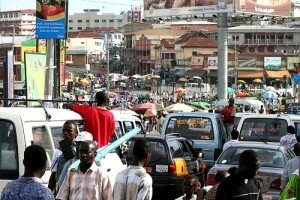 However in and around the bigger cities (such as Accra, Kumasi & Tamale) there are minor incidents of crime and theft. Sometimes theft from motorbikes occurs in the evening and night. Therefore be a bit cautious in busy areas or popular places for foreigners, such as ‘Osu’, in and around ‘Kwame Nkrumah circle’, the old city centre, ‘Labadi beach’ and especially during busy street events. You may wish to avoid using ATM’s at night, carrying handbags or using expensive mobile phones at night. For advice about tropical diseases, malaria and immunizations have a look at the following websites: www.traveldoctor.co.uk (UK) or www.travelclinicsofamerica.com (USA). The only immunization required by Ghanaian authorities is Yellow Fever. All others are optional. You need to discuss with your doctor or travel clinic which ones are advisable in your situation. You may wish to bring along some first aid items such as Imodium to stop diarrhoea, Paracetamol, O.R.S. (Oral Rehydration Salt), mosquito repellent, sun cream, plasters and sterile bandages. The West African Rescue Association provides reliable health services in case of emergencies whilst in Ghana (for members only / register HERE). Malaria is a health threat in Ghana and without protection you could be infected. Preventive malaria tablets minimize this risk and reduce the intensity of a possible malaria attack. The 2 most commonly used preventive malaria tablets are Lariam and Malerone. Malerone causes less side effects than Lariam but you will need to take it daily, while Lariam is taken once a week. It is advised to use mosquito nets at night and to buy them prior to your arrival in Ghana. Note that most hotels do not provide mosquito nets. It is also advised to bring along mosquito repellent (containing ‘DEET’: indicated on the product), as well as wearing long sleeves and trousers in the evening. If you are not taking preventive malaria tablets, you can buy inexpensive short term malarial treatments over the counter in Ghana (such as Coartem, Artesunate and smaller brands). If you buy them in advance, your treatment is at hand whenever you begin to display malarial symptoms. Symptoms include fever, chills, aches and pains, lack of appetite, lethargy… For more information about malaria please visit www.traveldoctor.co.uk/malaria. A good general health practitioner is Dr. Jane Ansafo-Mensah at Philips Clinic, Accra, Tel. 00233 (0)30276 8681, located at 12 Adembra Road, East Cantonments. She has an on-site laboratory as well. An excellent UK trained dentist is Dr. Dennis Ilogu at Beaver Dental Clinic (www.beaverdentist.com) at Airport Residential, Tel. 00233 (0)302771785. Good clinics frequently used by expats and foreigners are: Lister Hospital (www.listerhospital.com.gh) at Spintex Road in Accra (Tel. 00233 (0)302812 325 & 00233 (0)302812326) & Nyaho Medical Center at Airport Residential, Accra (Tel. 00233 (0)302775291 / 00233 (0)302775341). Ghana’s climate is classified as tropical to sub-tropical. Temperatures range from 24 to 34 degrees Celcius (75 to 93o F.). In the northern part, the weather is hot and dry and in the south more humid. The rainy season starts around May and ends around September, with short heavy rains every now and then. The Ghanaian currency is the Ghana Cedi. For the Euro-Cedi rate click here. For the USD-Cedi rate click here. In Accra, the biggest supermarkets are Koala in Osu (Oxfort str., Airport res. & Cantonments) and MaxMart located near 37 Military Hospital and their latest store at A&C Shopping Mall in East Legon. You can find a big shopping mall with various outlets at Tetteh Quarshie interchange (close to the African Regent Hotel) & at Nungua-Tema junction. Westhills mall and Marina mall (airport) are recommendable as well. www.accramall.com. Ghana’s standard time is Greenwich Mean Time (GMT). Ghana does not use daylight-saving time. In general, you can bargain for prices at the market, Accra’s ‘Arts Centre’ (souvenir market) and furthermore in taxi’s and with roadside sellers. In shops, bars, restaurants and hotels this is usually not the case. There are no clear guideline however, but in general you can negotiate 50% off the initial mentioned price. Ghanaian workers appreciate tips. The average hospitality worker lives on a very small wage. The tips supplement their salary. If their service is good, and your needs are attended to promptly and efficiently, a tip or gratuity of 10% is most adequate. It is advised to ask people beforehand or to keep a ‘low profile’ when taking pictures, as it is not always appreciated. Photographing government buildings as well as uniformed persons is prohibited. Furthermore, sellers at Accra’s main market, Makola market, do often not appreciate being photographed. Tap water in Ghana is non potable. It is advised to buy bottles of mineral water. ‘Voltic’ and ‘Dasaani’ are two of the many brands available in Ghana. A cheap alternative are sachets of ‘pure water’, which are purified water being sold in small sealed plastic sachets. You can find them almost anywhere in Ghana for 10 Cedi cent (‘Pesewa’). Street sellers sell pure water at busy crossings and traffic lights. If you bring electrical appliances to Ghana they should operate on / or be adaptable to 220 -240 volts. Ghana uses UK-type sockets for 3-pronged plugs. You may need to buy an adapter or a step-down transformer or otherwise a multi-socket to be able to use your electronic devices. A multi-socket or ‘step-down’ transformer can be purchased locally as well. Ghana experiences frequent power cuts and fluctuations. It is therefore advised to bring along a flashlight and/or candles. As a former British colony the official language in Ghana is English. On the streets however you hear many of the local languages such as ‘Twi, Ga, Hausa or Ewe’. Twi is the most dominant language in Ghana. Note that in remote areas and villages, English is not as proficient as elsewhere in Ghana. You can use your mobile phone in Ghana. Please check with your cellular carrier to see if there is a supporting Ghanaian mobile network for you to roam whilst in Ghana. Alternatively, you can purchase & register a cheap prepaid sim card in Ghana (Note: bring your passport along to register your chip before activated). You can use the sim in your own phone if it is simlock-free. Reliable Ghanaian networks are MTN, Vodafone, Airtel and Tigo. However coverage at some places -beach or other remote places- can be poor or non-existent. With a Ghanaian sim card, you can make relatively cheap calls in and outside Ghana. Ghana in general has a lot of traffic. You will find that traffic rules and regulations are probably different from what you are used to. Be aware that cars in general do not give way to pedestrians; so if you need to cross a busy street, at least make a gesture to attract the attention of drivers. When you ride a bicycle, beware of taxis and small buses as they can suddenly stop or park to pick up passengers.